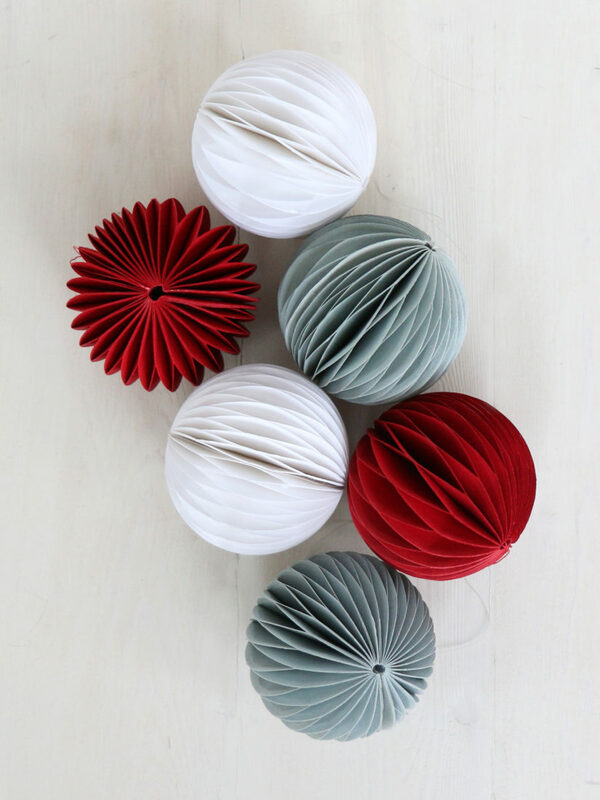 With Christmas almost here, I am getting creative and making some diy decorations today. Every year I make a candle decoration with fresh foliage from my garden, it makes a lovely centrepiece for the table. I have been collecting other DIY ideas on my Pinterest board and some of my favourites are below. 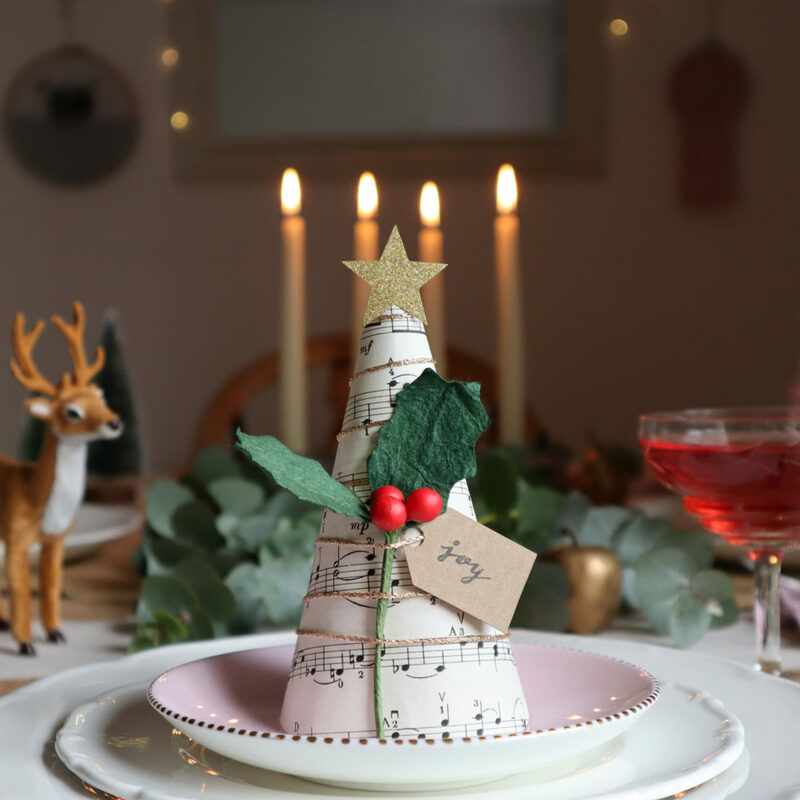 Lucy at Lucylu Dreams has a lovely tutorial for paper Christmas tree place cards. They make gorgeous place settings decorated with name tags. 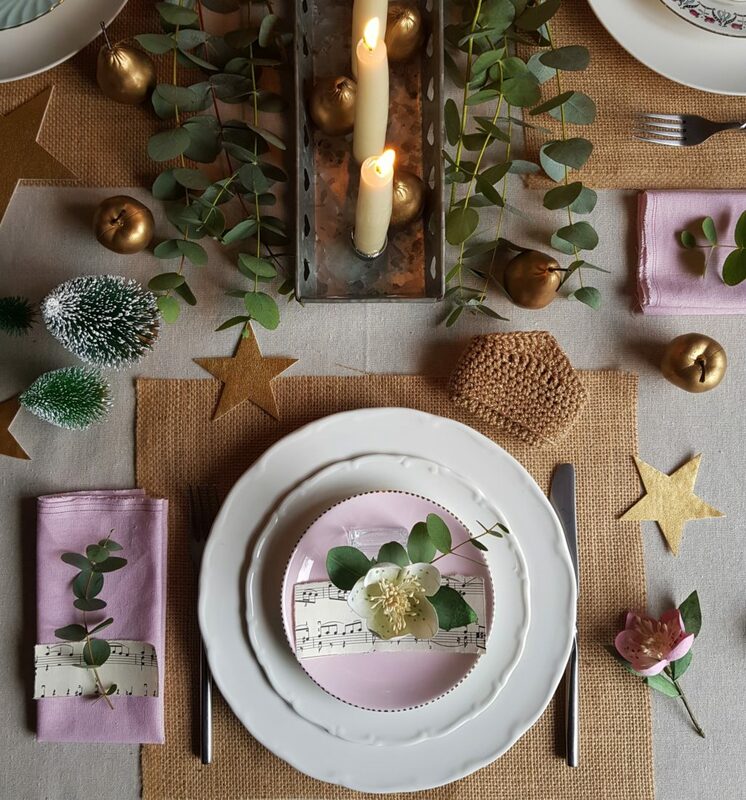 Lucy added some of my paper Christmas roses and paper holly to decorate them and created this beautiful tablescape. 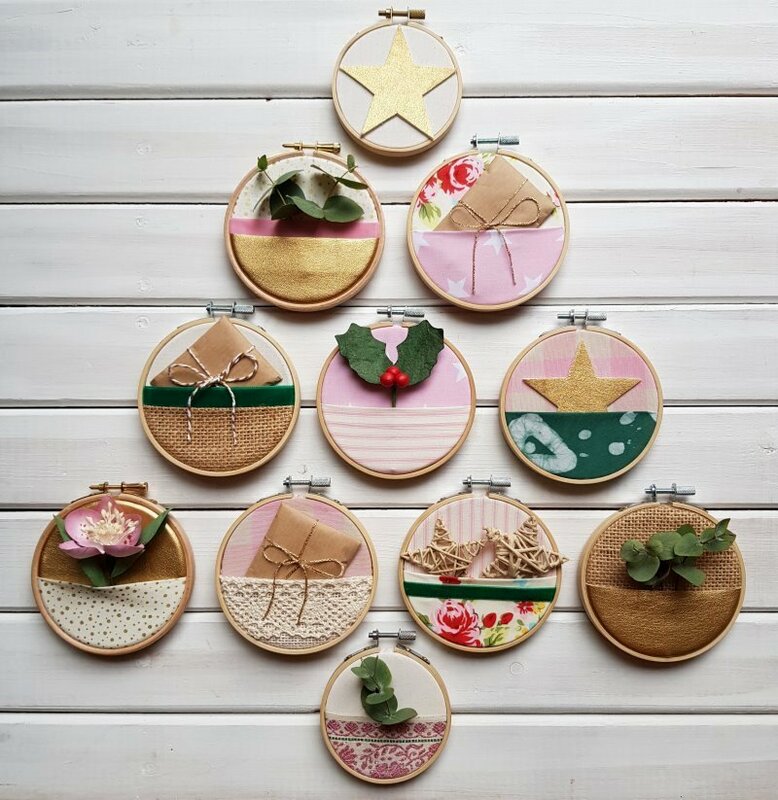 Lucy also has a brilliant tutorial for embroidery hoop pocket Christmas decorations on her blog. 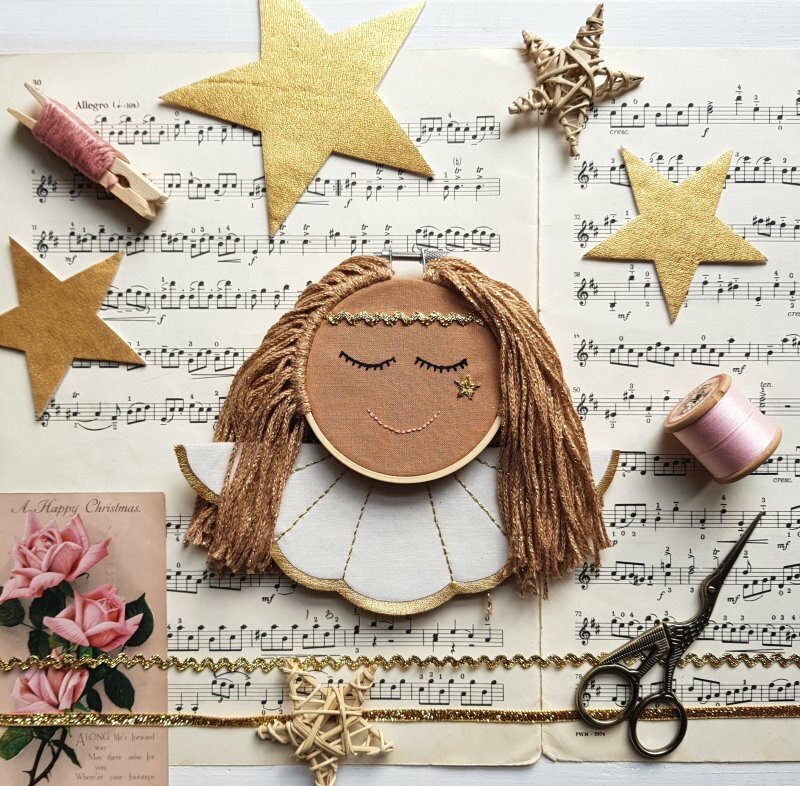 She is very talented and was on Kirstie’s Handmade Christmas recently where she made a beautiful angel embroidery hoop. Another decoration that I would like to make is a Scandinavian style candle wreath, there is a tutorial for this on Francois et Moi. 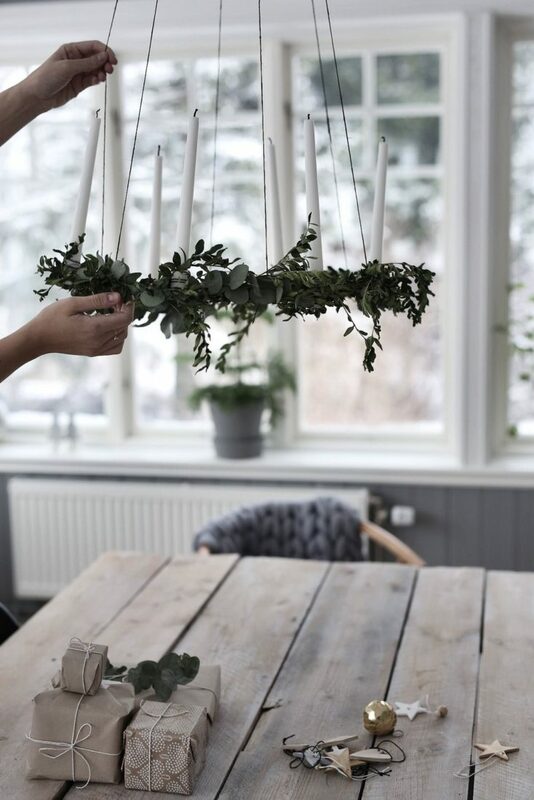 I might even try to create a chandelier style candle decoration, as here at Magnusson. I bought some small candles and candle clips a while ago and really want to use them! 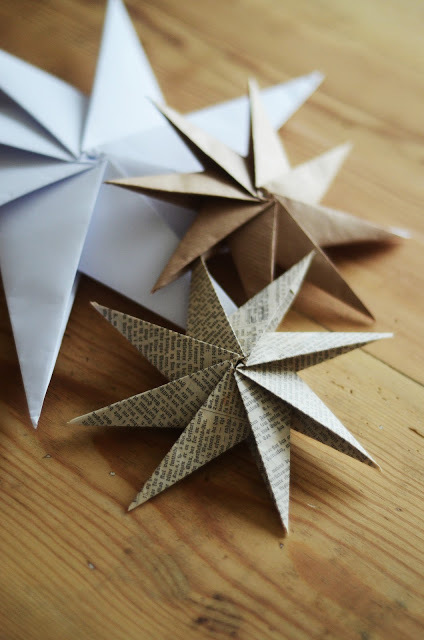 As somebody who loves creating with paper, I would like to try some paper origami stars like these from Paperiaarre. 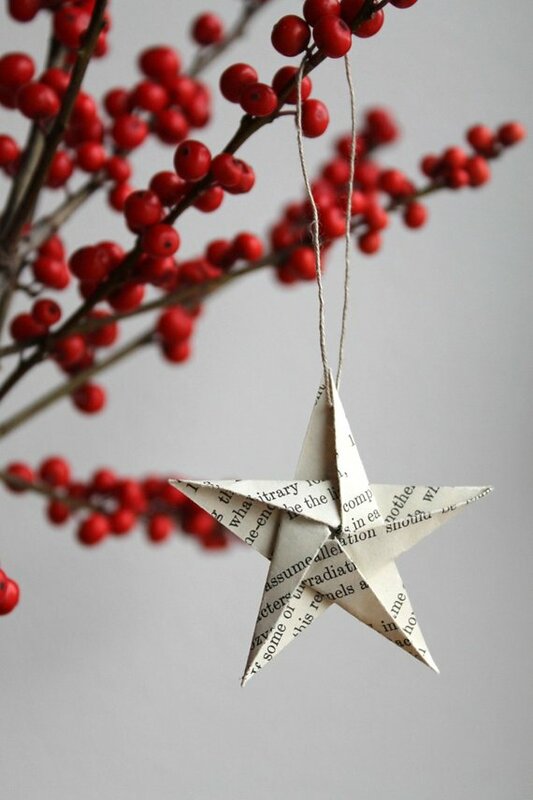 They can be made with any kind of paper and I like the idea of using printed music sheets with Christmas carols. There are diy origami star instructions here. 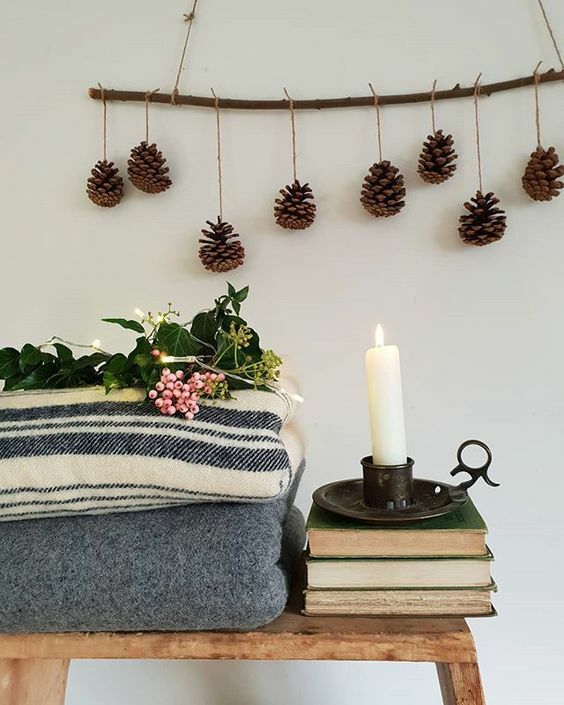 Natural decorations made with wood, pine cones & dried flowers are lovely for a rustic style Christmas. 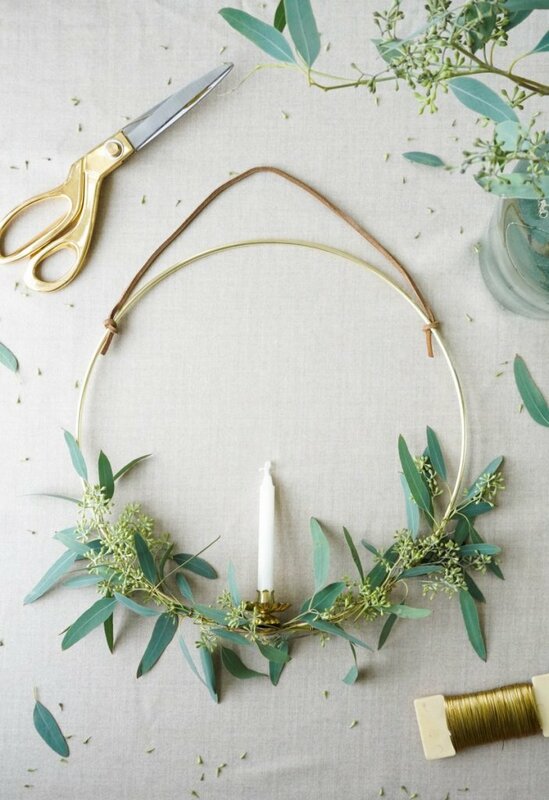 This garland from Harry & Frank is beautifully simple. 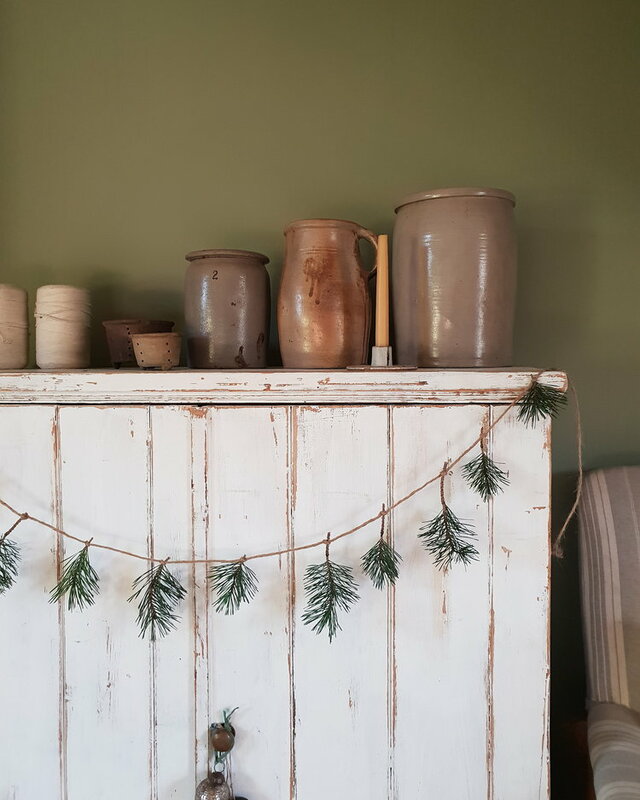 I also love this fir garland from Harry & Frank which is equally lovely in its simplicity. 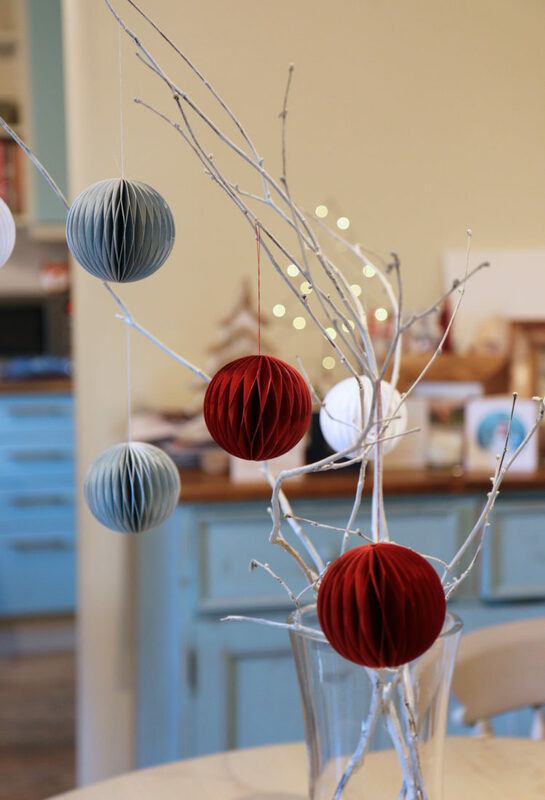 For my final DIY, I have painted some twigs white and hung some paper baubles on them. Here are the baubles in my kitchen. Wishing you a very happy Christmas and a wonderful 2019! This entry was posted in Uncategorized and tagged christmas, christmas decoration, diy christmas decoration, scandinavian christmas decoration.